Five Water Spouts and Lintel is one of several sculptures included in the International Sculpture Garden at Penn’s Landing, located along the Delaware River between Walnut and Spruce Streets. 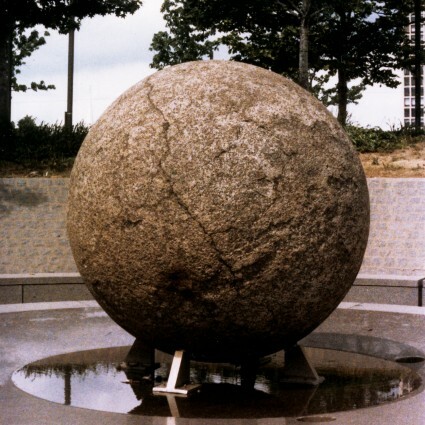 Though most of the International Sculpture Garden sculptures have been placed in storage (in preparation for the proposed redevelopment of the garden), Five Water Spouts and Lintel remains on site. 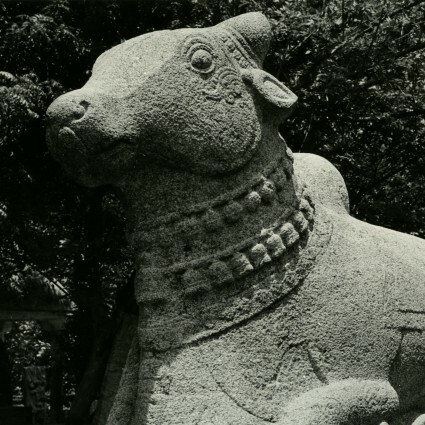 The overhead lintel shows a kala, which was thought to be both a ferocious and a protective force: a visitor who passed through a kala gateway was symbolically devoured and reborn. As long ago as the eighth century, temples expressing Hindu and Buddhist religious beliefs appeared on the Indonesian islands of Java and Sumatra. 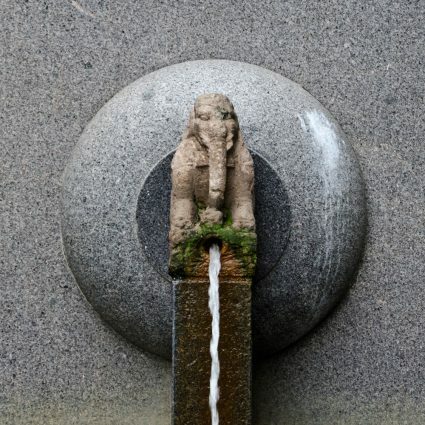 Many of the temple sites in eastern Java had pools for ritual bathing where the water flowed through carved stone spouts. 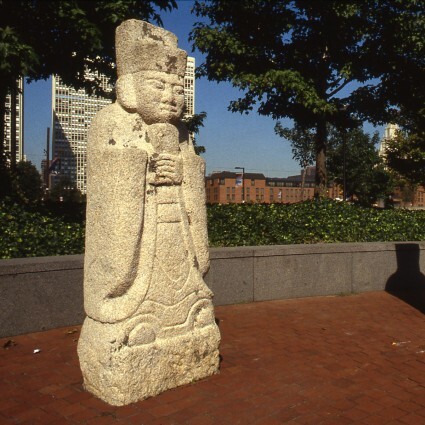 In 1979 the Fairmount Park Art Association (now the Association for Public Art) acquired five of these spouts as well as a frog figure and a lintel, and the Mabel Pew Myrin Trust supported their installation at the Sculpture Garden. 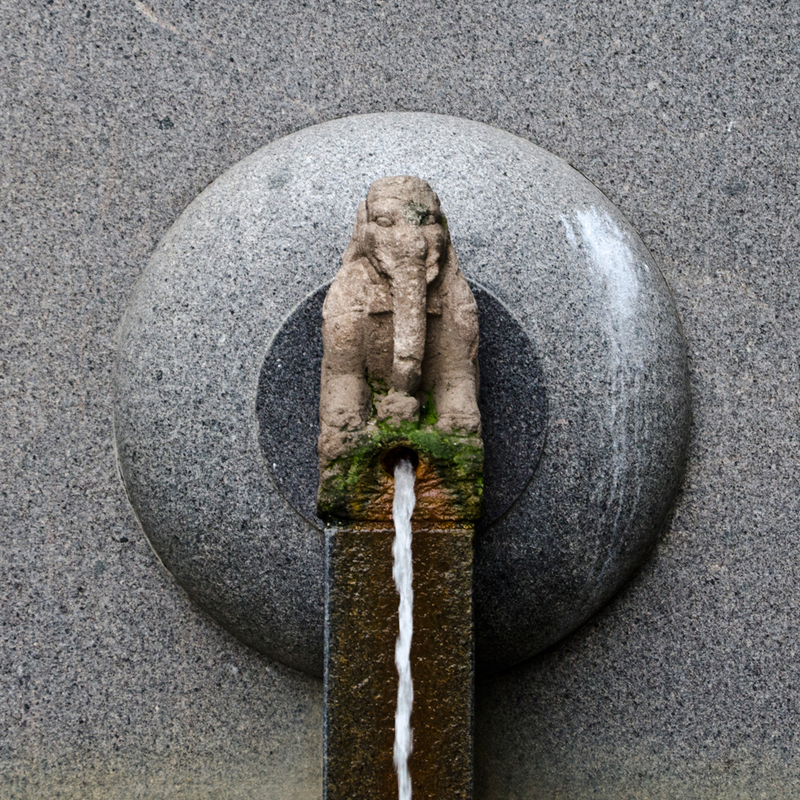 Three of the spouts resemble a tiger, a ram, and an elephant. 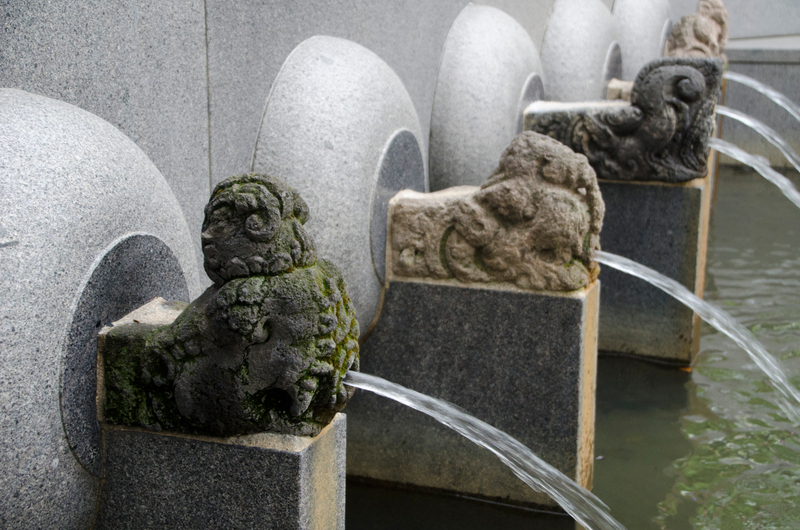 Two are makaras, mythical creatures that appear in Indian and Indonesian art. 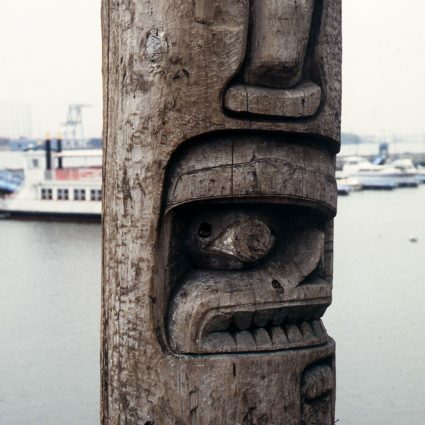 The overhead lintel shows a kala, which was thought to be both a ferocious and a protective force: a visitor who passed through a kala gateway was symbolically devoured and reborn.